Nestor Ausqui hails from the picturesque Argentinian city of Santa Fe: a robust and vibrant city catering to the arts and culture, most notably music. 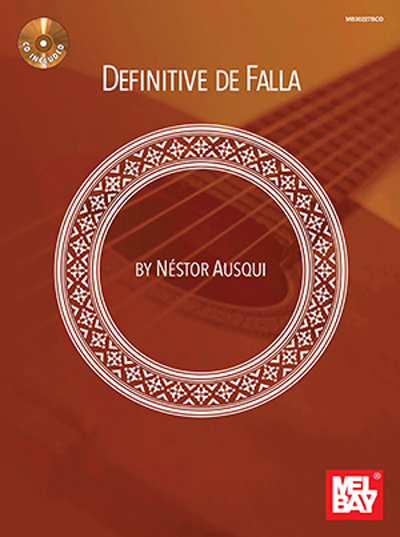 Definitive de Falla is Ausqui's second book from Mel Bay Publications, following the release of the Nestor Ausqui Collection (MB99894EB). This book and accompanying audio represent an important collection in the classical guitar genre. Guitarists from around the world will enjoy Ausqui's faithful attention to detail in the transcriptions,making this book an excellent addition to any guitarist's library.